I’ve had quite the experience with the Nissan 370Z and at the moment, I’d say it’s my most interesting cars to own for a short period of time. German tuner Schmidt Revolution, reckons they can do just that little bit more to make it’s appeal far improved. Sadly we don’t really agree on what’s going to happen in order to improve the Japanese coupe’s convertible version. What I loved was the incredible performance, the supreme driving feel and the general excitement delivered by the Nissan 370 Roadster the Germans seem to think otherwise. Schmidt Revolution thought well about the new exhaust system but making it throatier may have not been the best call. On the brighter side, H&R coilover suspension and dampers sound somewhat better and the new 20 and 21 inch wheels look excellent but I’m almost certain that these “upgrades” will spoil the handling at hand. That’s really what make me sad. Some of these tuning companies can do so many actual upgrades and they keep stopping at some shallow modifications and wind up ruining cars. 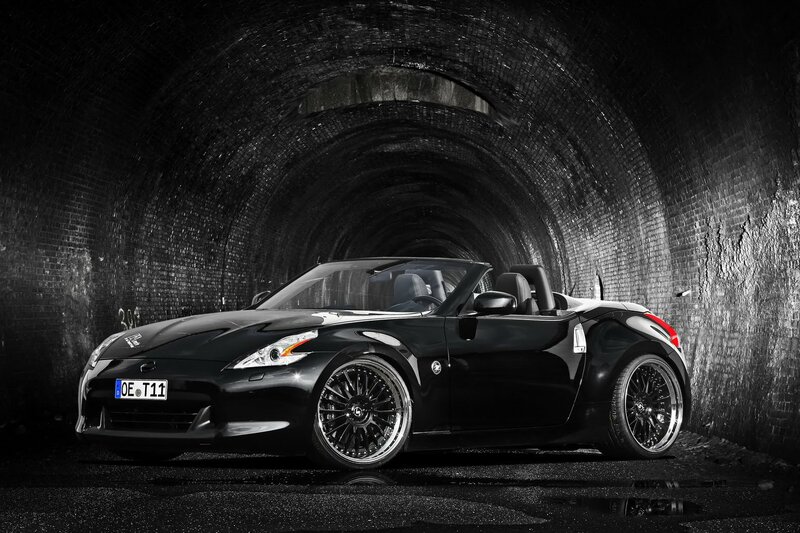 This seems to be the case for what we have here, the Schmidt Revolution Nissan 370Z Roadster.